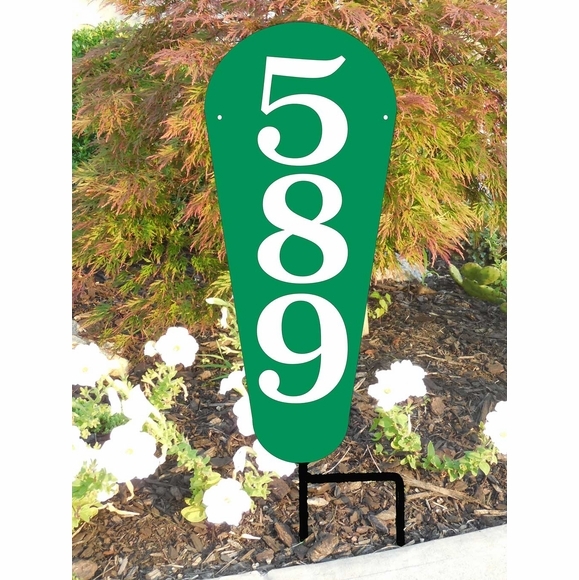 Vertical House Number Lawn Sign - custom address plaque includes lawn stake. Holds up to three extra large 5" or two giant 6" numbers or letters. Made in USA. Ships with one American-made 24" high solid steel lawn stake. Click top link in Related Products to purchase a wall mount Vertical Number Address Sign.